For years, I have seen the Wicked camper vans on the Sunshine Coast, and I must admit that I have been quite appalled by many a disgusting and crude slogan. They are often racist and incredibly offensive. I have often thought about the idea that ‘somebody’ should do something about them, but life would get busy and then all of a sudden I would see another van and again be reminded of how disgraceful these vans were , but also think to myself how ‘somebody’ should stop this company in their tracks. Last week, a mother who had had enough stood up to be counted. I would love to give Paula Orbea the biggest hug. She did what many of us wanted or should have done. She stood up for our kids. Paula, a mother and teacher, drew up a petition on a petition site called Change.org on the Saturday afternoon (after her daughter read the back of a van with one of the most disgusting and offensive slogans), and circulated the petition via social media streams, and by Thursday 120 000 people had signed the petition against Wicked’s ‘intimidatory and misogynistic slogans’. 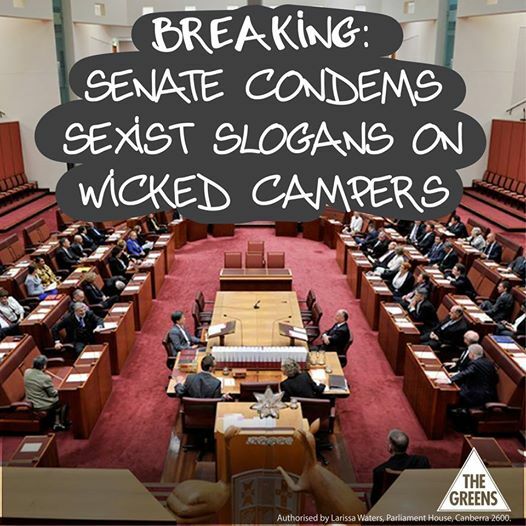 Larissa Waters (Greens Senator) presented the petition to the senate on Friday – and the Senate ruled that the Wicked company would have to clean up their act. There needs to be tighter measures on advertising. Maybe a advertising needs to meet a PG rating for advertising in public places. One of the main reasons Paula started the campaign against the Wicked Van company was because her 11 year old daughter read the back of one of these vans. After Paula circulated the petition – 120 000 people signed the petition for CHANGE. Paula had raised the bar of what was acceptable. I read somewhere that Paula’s actions have raised the bar for others to believe change is possible. Its given people hope that change is possible. I have to say that I am amazed by some peoples reaction to the idea that Wicked clean up their act. I read on a facebook group, a number of people had written about their thoughts on how unfair it was that this company had lost its voice for free speech! What is wrong with people these days? Why aren’t these people more concerned about our children reading these foul messages on those moving bill boards, than the company losing its right for free speech? Am I the only one who thinks this is ridiculous? Should we not be protecting our children from this type of rubbish? Don’t get me wrong, I am all for free speech, but in my mind, free speech should be based on truth, it should be factual, it should not be abusive, racist or be out of context. It should protect the rights of children. Over the last few weeks, I have begun to really query peoples perceptions of what the role of a ‘parent’ is? Parenting is a hard job, and even harder when other parents are allowing their kids to do whatever they want to do. 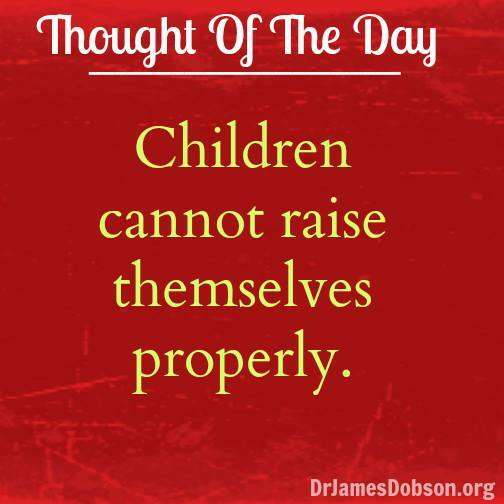 Children need discipline. They need to be protected, guided, directed, and sometimes pushed out of their comfort zones. There perceptions need to be challenged at times. They need to know what will and won’t be tolerated – even when it might be different to their friends homelife. All children need boundaries. I know that at different times throughout my kids life, they aren’t going to like me, but my role as parent isn’t always to be liked, its to get them to adulthood. Society needs strong, honest, integrity-driven adults. Not lame, dishonest, fly-by-the-seat-of-your-pants, only-do-what-feels-good types of adults. At the end of the day, we need to be considering what our children might be like when they reach adult hood. There is going to come a day when they have to stand up and be counted. How can they stand up for whats right if parents give children the right to raise themselves – what kind of adults are we going to have later on?? Scary thought = YES??? So here I was thinking about how frustrating it is to know some pretty casual parents – I was feeling quite disheartened when a friend of mine sent me the link to the dad song. I really needed this – My favourite line is ‘I’m doing what a dad should do’. Hope you enjoy!